Understated aqua crystal studs perfect as wedding sparkles or for an array of celebrations. Clean lines combine with vivid blue tones to make our Enchanting Aqua Earrings a firm favourite. 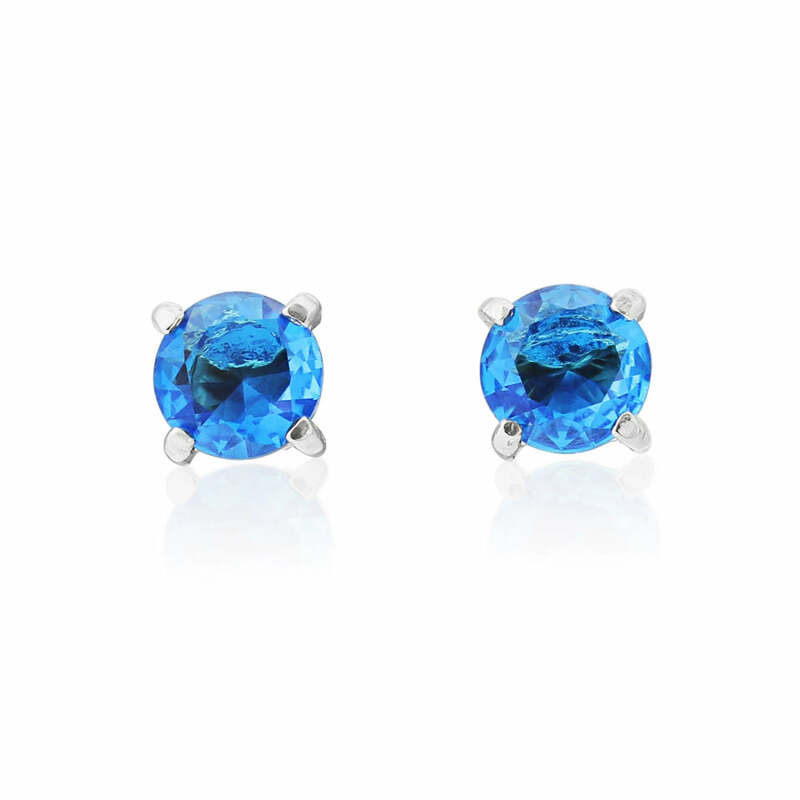 Their understated stud design works perfectly with clear cobalt blue cubic zirconia to give an earring that we know you’ll wear time and time again. Superb for all day wear, these aqua blue stud earrings are ideal for a chic bridesmaid, maybe worn with an elegant up-do or added to her outfit for the evening celebrations for extra colour. They would also be a wonderful addition to any ensemble for a stylish Mother of the Bride or Groom. Classic stud earrings are always in fashion and these come with an eye catching burst of colour that’s impossible to ignore and easy to love. Team them with any outfit as a faultless finishing touch, either as a lively contrast to dark or pale shades or as a touch of tonal shading to a brighter look.